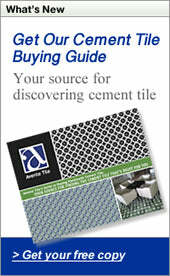 Avente Tile is excited to be participating in BATHROOM BLOGFEST 2010. The theme is "Still Stuck in the 60s?" and includes a Mad Men twist to provide some fun - especially for more creative bloggers. The focus of all posts will be on the Universality of Bathrooms and the Bathroom Experience. At Avente Tile, we will share our unique perspective and ideas about bathrooms in several blog posts during the week of October 25. There are over 30 bloggers and 40 blogs participating in this year's event from many different fields of expertise including tile trade journals, bath and kitchen designers, tile and flooring vendors, and marketing and consumer-retail-experience specialists. We will be sharing many posts on the Avente Tile Facebook Page and twittering about it as well. Hint: search for "#BathroomEXP" on Twitter. And, of course, we welcome your feedback and comments during the blogfest! The 2010 Bathroom Blogfest, now in its fifth year, brings together 33 bloggers from the U.S., Canada, the UK and India to address the 2010 Mad Men inspired theme "Stuck in the 60s?" A blogfest brings together writers who direct their blog posts around a single subject while making the subject relevant to their readers during a specific timeframe. Between October 25 and 29, these experts in marketing, customer experience and service, public relations, library sciences, museums, home & interior design, life, retail, flooring and healthcare IT/RTLS will call attention to improving the overall bathroom experience for end users via their 40 blogs during Bathroom Blogfest 2010. "This year's theme "Stuck in the 60s?" is inspired by Mad Men, the show that has captured the imaginations of many for its portrayal of life in the 60s when social and cultural taboos meant that many critical aspects of life – like bathrooms – were ignored, glossed over and treated dreadfully," said Christine B. Whittemore, who manages the Bathroom Blogfest. "The result is that end users suffered. By calling attention to modern day instances that are "Stuck in the 60s? ", we can reinforce the value associated with being more responsive to the end user experience be those users customers, clients, patients, patrons or consumers," said the chief simplifier of Simple Marketing Now, Kinnelon, N.J. The Bathroom Blogfest began in 2006 as the brainchild of Stephanie Weaver, Experienceology author and consultant, and Susan Abbott, a business consultant and consumer researcher in Toronto. "They wanted to generate awareness for bloggers passionate about the customer experience at a time when blogging was more experimental. The Bathroom Blogfest created a forum for focusing on spaces that are not a subject of conversation, even though they should be," added Whittemore. "As an event it builds relationships and conversations about the user experience demonstrating how universal the relevance and appeal is regardless of the industry." Participation in the 2010 Bathroom Blogfest has increased 65% compared to 2009. For more information about the blogfest, visit http://www.BathroomBlogfest.com. Follow Bathroom Blogfest on Twitter @BathroomBlogfes, look for the tag "#BathroomEXP" on flickr, del.icio.us, Technorati, Twitter and Google or 'Like' on Facebook http://www.facebook.com/BatrhoomBlogfest. Or, contact Whittemore at cbwhittemore@SimpleMarketingNow.com. If you have questions about this event or would like to participate, please contact the event coordinator, Christine B. Whittemore. Bill, this is fantastic! Thanks so much for getting the word out about Bathroom Blogfest 2010. I can't wait to read your take on the event. Hi..Bill,Fantastic blog!I have hardly came across with nice informative blog like this..Great work done..I would like to have more from you in the future..